Many network teams are struggling with building more efficient and responsive organizations because of requirements imposed on them by trends and advancements in other parts of IT and in the business at large. They are faced with the need of moving from traditional approaches that worked years and decades ago to a more efficient approach to their core functions. Automation is the key to that approach. Automation should be used for performing repetitive, consistent processes so your IT management and staff can focus their time and energy on critical business issues. Network management is becoming increasingly difficult, costly and time-consuming. Furthermore, legacy manual procedures are too slow to keep up with today’s rapidly changing and complex networks. 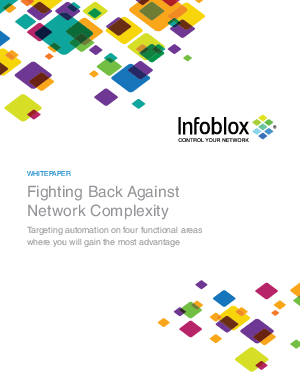 Read this white paper to learn how implementing network automation can immediately improve IT efficiency and proactively deliver business value.